ASUS and Overclockers UK are currently offering some fantastic RX 480 prices, with their 8GB RX 480 coming at £188.99 and their 4GB model coming in at £149.99. These GPUs will also be coming with free DOOM 2016 Steam codes for a limited time. These prices are well below what the RX 480's typical pricing is in the UK, especially when considering the fact that both of these GPUs come with factory overclocks and aftermarket cooling design. At launch AMD's 4GB RX 480 cost around £200, making this price decrease very significant, especially given the fact that Nvidia's cheapest GTX 150Ti costs £130.99 in the UK. With the RX 480's performance advantage over the GTX 1050 Ti, it is worth the extra £20 to upgrade to an RX 480 4GB. 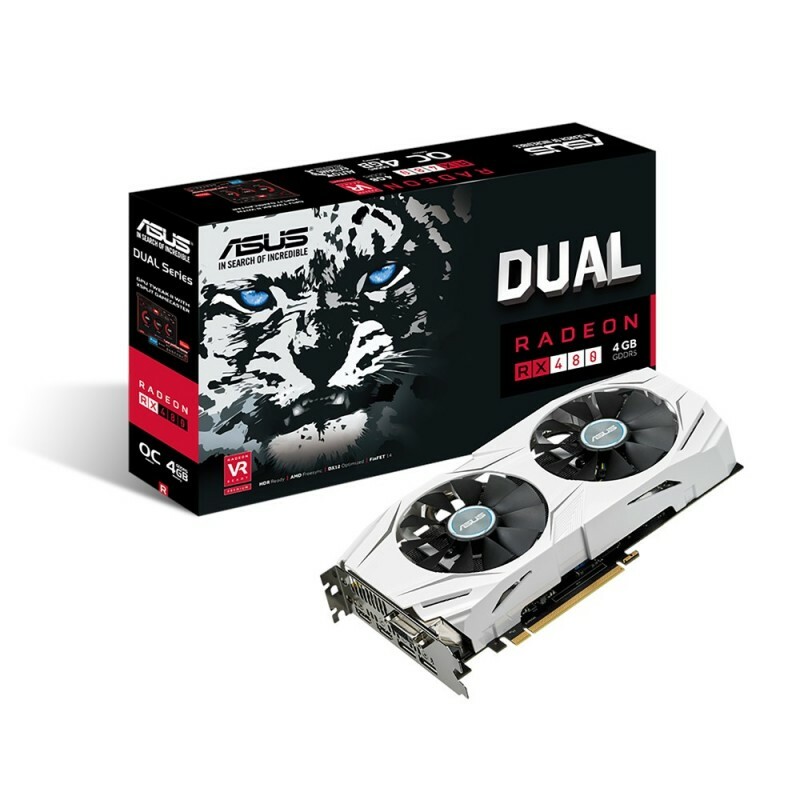 Right now both of these GPUs are available to purchase at Overclockers UK, with the ASUS RX 480 4GB Dual OC coming in at £149.99 and the RX 480 8GB coming in at £188.99. These prices will only be available for a limited time. You can join the discussion on ASUS/AMD's insanely low RX 480 pricing on the OC3D Forums.